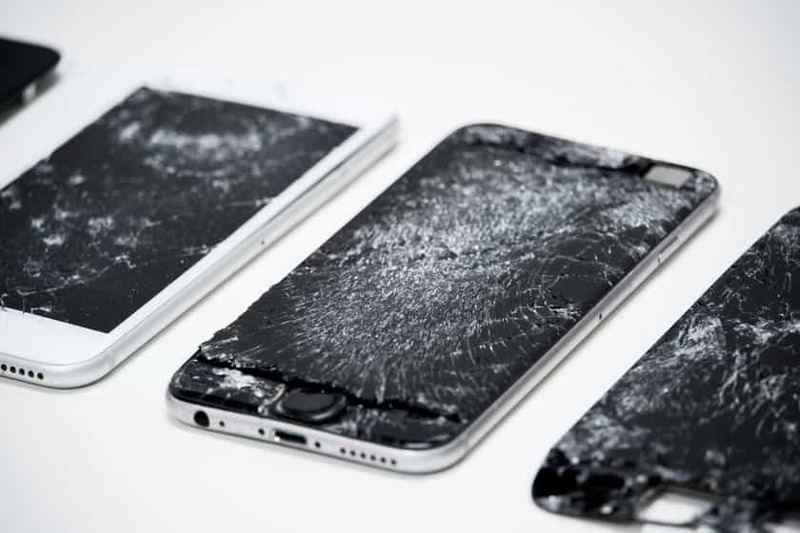 Your iPhone just slipped out of your hands and smacked the cement sidewalk hard and now the screen has more tiny cracks than a spider web. Aside from looking unsightly, you can’t see the well enough to make viewing anything on it a pleasure and it’s nearly impossible to make a video phone call or perform other visual tasks. Mobile iPhone Repair Portland might be the perfect solution for your iPhone screen replacement needs. We conduct quick repairs on iPhones without the drama of a long wait or the pain of purchasing an entirely new phone. Ask most of our clients and they will say our rapid repair time is likely one of the top considerations for using our independent repair services for their iPhone. We offer a faster service than any online waits you are likely to endure when you connect with the Apple Store. Most us just can’t do without our mobile phones, in many cases it’s the only way people can reach us so not having access to it for weeks is a lot like losing a limb and being disconnected from the world. We know you love your iPhone for all the advantages it has over androids and that’s why we turn repairs around fast. Screen replacements can typically be repaired the same or next day. When you use our independent repair service, you will have the confidence of knowing we only use high quality parts, whether it’s your iPhone screen replacement or any other hardware required to repair your phone. Your phone is an extension of you and how everyone can gain access to communicating with you and we understand you need it fast and with a screen that won’t break again under minor strain. Our screen are as durable and we do not use low quality parts to make any repairs no matter how minor. As a trusted iPhone repair service, you can expect your phone to be handled with care while in our repair and all of our parts are AAA grade replacements. Our repair team consists of a group of people that are highly experienced and possess a vast range of knowledge for iPhone repairs. Screen replacement, though simple for our team, it is not advisable that your conduct the repair on your own. We have years of experience and continuously update our skills to ensure that we have deep knowledge in the latest iPhone technology. We are a leading independent repair service that provides superior repairs to clients throughout the Portland region. As a team we are highly skilled and we have advanced knowledge for a vast variety of repairs and we take pride in our workmanship. This also means that we only use highly quality AAA grade replacement products to ensure the reliability of your mobile phone. As a client you can expect rapid service without excuses for delays and a fine attention to detail that makes your phone react like new again. If you would like our experts to repair your iPhone please contact us today. Do you own an iPhone? If yes, ensure that you manage your iPhone with care. iPhones are extremely sensitive and extremely prone to breakages and damage. As an example, the iPhone screen is susceptible and might get cracked at the smallest impact against a hard surface. You can get your screen replaced easily at any neighborhood authorized iPhone repair shop that provides iPhone screen replacement services and pay a premium price for your iPhone screen repair. Your best bang for the buck however would be to find a reputable iPhone repair specialist who can come to your location and repair your iphone in a timely manner, at a fraction of the cost, while using the best quality parts. Mobile iPhone Repair Portland is the perfect expert for all iPhone repairs. Are you wondering if you should have your screen replaced or simply deal with it as it is for the meanwhile? The main issue is that most individuals ignore the tiny cracks in the display of the iPhones. As an iPhone continues to work correctly even after the screen gets damaged slightly, individuals ignore it and don't take it for replacement or repair. This may lead to more severe problems with your iPhone later on and end up costing more than if you were to have your iphone screen repair done when the damage was slight. The smallest damage or crack in the iPhone display can end up being detrimental for the apparatus in the long term. You'll need a proficient iPhone repair specialist who can analyze and inform if the damaged display necessitates repair or complete replacement. Thus, to know whether the screen of your iPhone has to be replaced or not, you need to contact an iPhone repair specialist. Typically, screen replacements are done while the damage is not too extensive. In the event the display screen develops web-like cracks or gets shattered completely, replacement gets very vital. This is because the little glass pieces might get within the iPhone and cause irreversible damage to the device. Moreover, with the screen, the majority of the programs become non-functional. There are many reasons why you should go for iPhone screen replacement as opposed to buying a new iPhone. However, the first and foremost reason is that the substantial cost involved in purchasing a new device. Purchasing a new iPhone is much more expensive than getting its screen replaced at a trusted repair store. Nowadays, the majority of the iPhone repair shops in major cities and towns provide iPhone LCD screen replacement and repair services at affordable rates. Therefore, if you have some issue with the display of your iPhone, you can get it repaired. All you will need to know is the correct place to go for screen replacement. Not every iPhone repair shop that claims to be great is capable of doing excellent screen repairs. Mobile iPhone Repair Portland has been serving your neighborhood with professional iPhone screen replacement services for years. Contact us or book your appointment today.